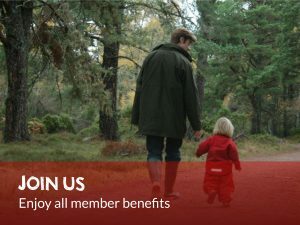 Friends of Rothiemurchus are annual members who help care for the unique, ancient forest which provides sensitive habitats for many rare species and places for you to enjoy. These responsibilities are complex, expensive and require us to make long term decisions that will conserve this heritage for future generations. We are extremely grateful to Friends for their support. 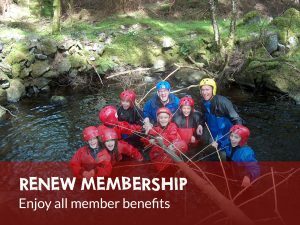 Your membership card is valid for one year from the date of issue and gives you great discounts throughout Rothiemurchus. COMPLIMENTARY Parking at Loch an Eilein for your car and all passengers. Explorer walks or Biking map. Card or 2 postcards from Rothiemurchus Centre. 5% OFF The Druie Restaurant Cafe (9.30am – 4.30pm) excluding alcohol. Outdoor Activities booked online. 10% OFF Safaris by Land Rover or on foot. At the Fishery and instructed Clay Target Shooting. At Rothiemurchus Centre shops (excluding alcohol). Benefits are for the cardholder only and are not transferable. Rothiemurchus reserves the right to change the terms and conditions. Pop into the Rothiemurchus Centre, fill in a form and we can issue you a card there and then. Have a question regarding membership?